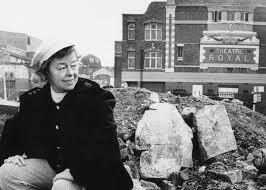 To her core, Joan Littlewood was an anti-eastblishment figure. This progarmme illustrates her determination to create a theatre for everybody. It selects some of the best archive from across her career. The actors she trained – Victor Spinetti, Murray Melvin, Avis Bunnage, Brian Murphy – explain why working for Joan was different to working with other directors.